There are 54 genera and about 200 species of Clupeidae worldwide. Malaysia has 12 genera and about 29 species. In this website, the family is broken down by their shapes, sizes and common names. 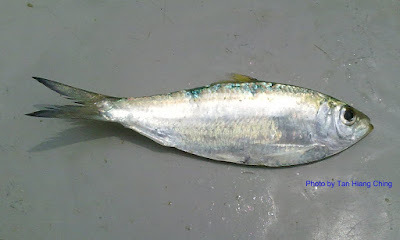 Below shows the family members often called sardinella or sardine. Main Diagnostic Features: Dark spot at dorsal fin origin. Size: Maximum standard length 13 cm, commonly around 11 cm.